Last weekend, we were at the Snert event. A long drive, but surely worth while. It was a pitty, the night cache was cancelled because of the rain! We already made an arrangement for next year, the 5th anniversary of the Snert event. For sure, this is going to be a special one! In this newsflash a number of new geocoins, but also new is the trackable sun shield. Do you think the sticker is too small, then this is the solution. You can also take it easily to another care. New are also the slipcases for the Garmin GPS devices. An excellent protection for your GPS including a protection screen for the display. Embrace the changing of the season with this Fall Leaf Pendant. This customer designed pendant is also a trackable geocoin. In orange, the transparent colors of these leaves echo the colors we see around us. Next to the red, we have now also the orange variant. This is a great Geocoin, ready to travel around the world. Trackable at Geocaching.com with its own animated icon. Red Gems - The heart represents love and friendship. Geocaching can be a social occasion. For centuries, Celtic symbols and signs held incredible power for the ancient Celts. Symbols that were divided into the various essences: mind, body, spirit, soul, heart and life. Together they completed the person. Just as these symbols apply to geocaching and the skills to being an all-around cacher. The new Avroair Aviator geocoin was introduced at GeoCoinFest 2010. It is the newest coin designed by avroair. Here's what avroair has to say about the coin: "My caching name, Avroair comes from Avro the plane manufacturer (of which my grandfather flew) and I added air on the end when AOL told me my user name wasn't long enough. I have always been interested in planes and I have my grandfather's original 1943 aviators watch." This micro is part of our Nautical Inspirations series. This design came from a geocacher in Söderhamn, a port town on the Swedish east coast where there are several rocky islands and different lighthouses scattered about. 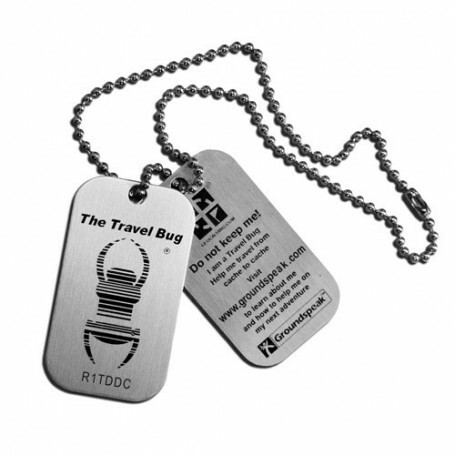 Trackable at geocaching.com and has its own icon.. These are now on stock again. Keep your Garmin in reach while on the move with this belt clip. Your unit fits securely into a mount that clips to your belt.